How do we know the Nazis used excavators to exhume bodies for cremation at the Operation Reinhard death camps? The only proof that the Nazis used excavators at the Operation Reinhard death camps of Treblinka, Belzec, and Sobibor are two drawings made by one single survivor of Treblinka. Numerous pieces of evidence, including photographs, documents, and eyewitness testimony, show that the Nazis used excavators to exhume the bodies of victims from the mass graves of Treblinka, Belzec, and Sobibor. Samuel Willenberg’s drawings are certainly not the only proof that the Nazis used excavators at Treblinka. There are also photographs, documents, and eyewitness evidence about the use of excavators. Photographs: Kurt Franz was the last commandant of Treblinka. Although photographs were explicitly forbidden by SS directive, Franz still took numerous pictures of the camp, including the excavators, the gas chambers, and the mass graves. A telegram from Odilo Globocnik, the head of Operation Reinhard in Lublin, Poland, dated September 4, 1942. In this telegram, he insisted that two “bucket excavators” be acquired immediately from the August Harms Company in Hamburg, Germany. A telegram from Christian Wirth, the overseer of all three camps, to Hans Kammler in Berlin dated June 2, 1942. The subject of this telegram is the delivery of an excavator from the Lamczak Company in Berlin. Wirth complains that an excavator had arrived, been damaged, and could not be repaired in Poland. A shipping document dated June 29, 1943. This document indicates that the Nazis were returning, again to the Lamczak Company in Berlin, one of the three excavators at Treblinka. Eyewitness testimony from Polish bystanders, Jewish survivors, and Nazi perpetrators corroborates the documentary evidence that the Nazis and their collaborators used excavators in all three camps. Samuel Willenberg’s drawings are not the sole proof regarding the use of excavators at Treblinka. Primary documents, photographs, and eyewitness testimony, when taken together, persuasively support the claim that the Nazis used excavators at Treblinka, Belzec, and Sobibor. They were initially used for digging mass graves, then for exhuming remains for cremation. Carlo Mattogno and Jürgen Graf, Treblinka: Extermination Camp or Transit Camp? (Theses & Dissertations Press, 2004), 141 at http://vho.org/dl/ENG/t.pdf. The drawings can been seen in Samuel Willenberg, Surviving Treblinka, edited by Wladyslaw T. Bartoszewski (Basil Blackwell, 1989), Plates 2 and 3. One of the drawings can also be seen at http://www.holocaustresearchproject.org/ar/treblinka/maps.html. 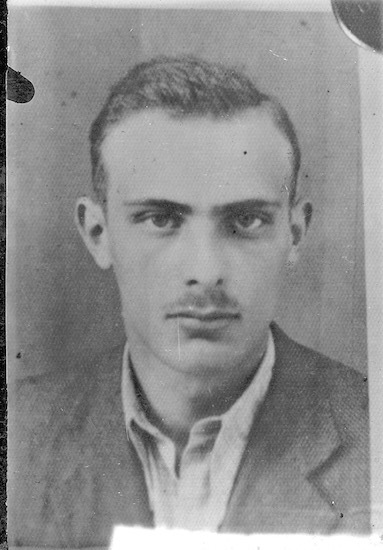 You may see many of the images in Franz’s album, including the excavators, gas chambers and mass graves at http://www.deathcamps.org/treblinka/photos.html. For a facsimile of the telegram and a translation into English see “Treblinka Excavators” at http://deathcamps.org/treblinka/excavators.html. For a facsimile of the telegram and a translation into English see “Treblinka Excavators” athttp://deathcamps.org/treblinka/excavators.html. Jonathan Harrison, Robert Muehlenkamp, Jason Myers, Sergey Romanov and Nicholas Terry, Belzec, Sobibor, Treblinka: Holocaust Denial and Operation Reinhard. A Critique of the Falsehoods of Mattogno, Graf and Kues, 356 citing Vernehmung Maria Daniel, 16.10.1945, BAL B162/208 AR-Z 252/59, Bd. 1, 1154 at http://holocaustcontroversies.blogspot.com/2011/12/belzec-sobibor-treblinka-holocaust.html. Select Google Docs, Rapidshare, or Archive.org for a PDF version. Yitzhak Arad, Belzec, Sobibor, Treblinka: The Operation Reinhard Death Camps (Indiana University Press, 1987), 173 citing court documents from the Belzec-Oberhauser trial, Band 6, 1154. Rudolf Reder, “Belzec,” Polin: Studies in Polish Jewry, Volume 13: Focusing on the Holocaust and its Aftermath, edited by Antony Polonsky (Littman Library of Jewish Civilization, 2000), 280. Robin O’Neil, Belzec: Prototype for the final Solution: Hitler’s Answer to the Jewish Question (“Belzec: Second Phase, Belzec’s dead: burning of the corpses”) at http://www.jewishgen.org/Yizkor/Belzec1/bel100.html#67r citing court documents TAL/ZStL, Belzec Case: Statements of Heinrich Gley and Robert Jührs, 11 October 1961. Dov Freiberg, To Survive Sobibor (Gefen House Publishing, 1099), 266, 267. Jonathan Harrison, Robert Muehlenkamp, Jason Myers, Sergey Romanov and Nicholas Terry, Belzec, Sobibor, Treblinka: Holocaust Denial and Operation Reinhard. A Critique of the Falsehoods of Mattogno, Graf and Kues, pp. 445, 446 at http://holocaustcontroversies.blogspot.com/2011/12/belzec-sobibor-treblinka-holocaust.html. Select Google Docs, Rapidshare, or Archive.org for a PDF version. Samuel Willenberg, Surviving Treblinka, edited by Wladyslaw T. Bartoszewski (Basil Blackwell, 1989), 108.